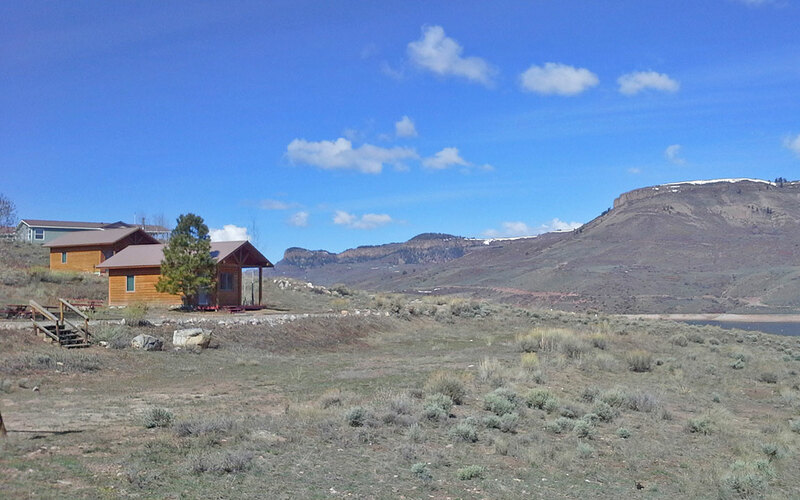 Welcome to Blue Mesa Outpost, overlooking the largest body of water in Colorado! 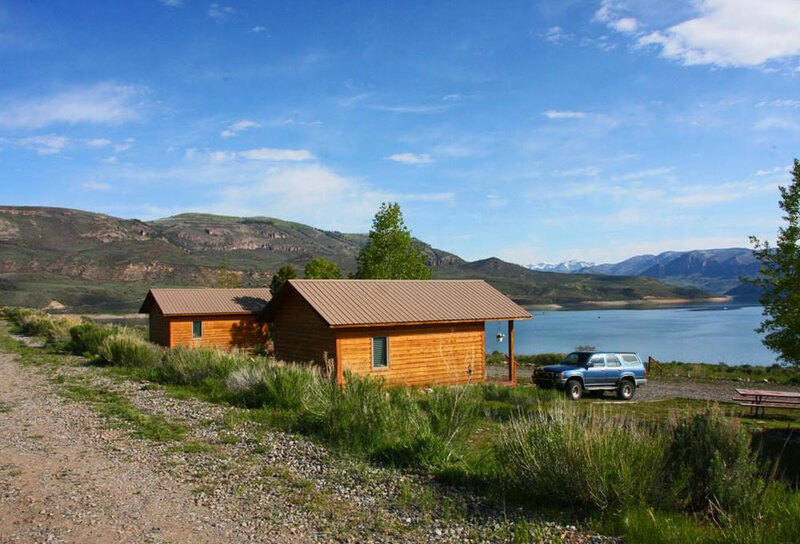 We’re closed for the winter while the new ownership renovates the resort for you. We’ll see you for the 2019 season starting May 1. Meantime, please keep checking this website for updates. 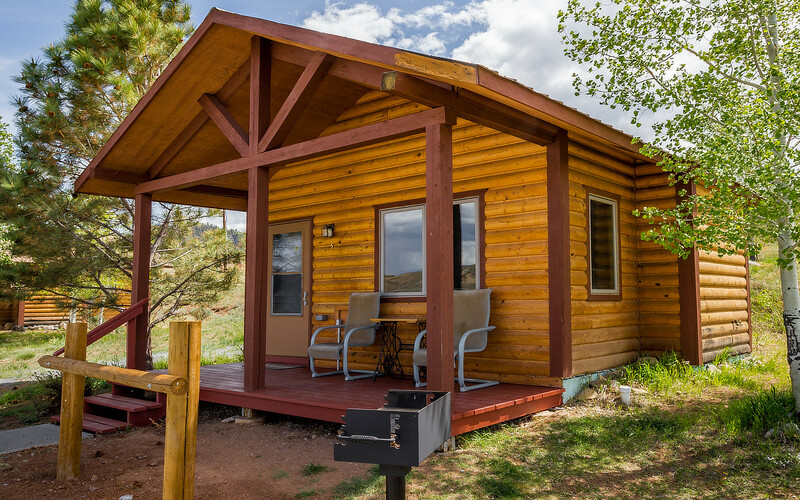 Reservations can be made online 24/7. Just click the "online reservation" button. NEW AND IMPROVED PET POLICY! 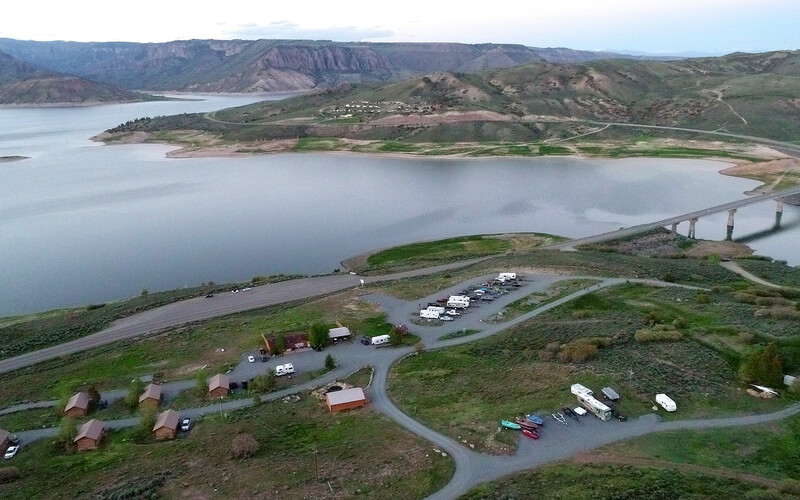 You can still have a maximum of 2 pets per cabin, RV, and tent site, but there's NO MORE PET FEE! 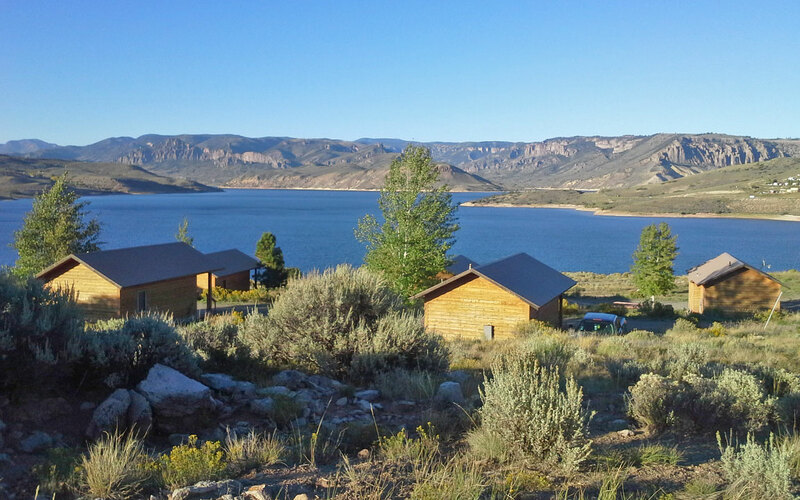 Each of our accommodations envelope you with gorgeous views of Blue Mesa Reservoir and the surrounding Rocky Mountains of Gunnison, Colorado. 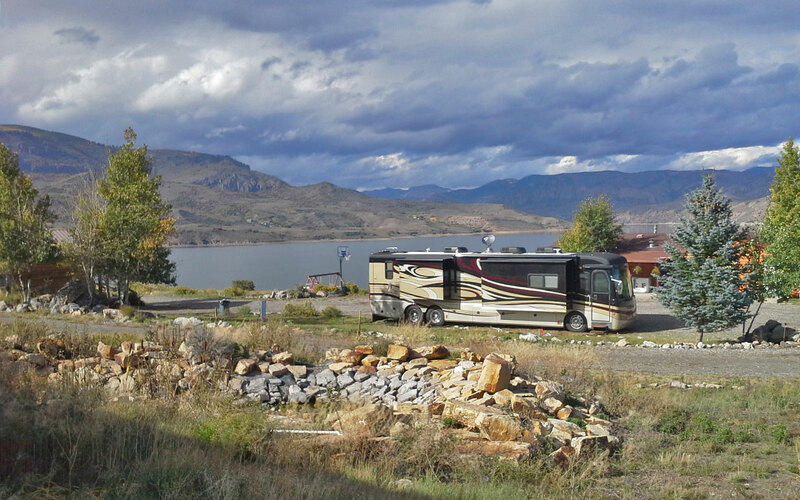 10 of our RV sites are pull through and face the reservoir or mesa. 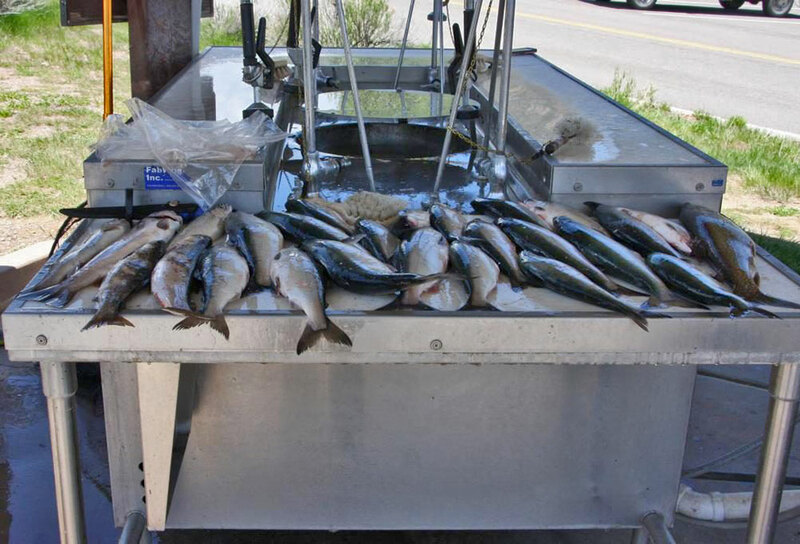 They’re 25 feet wide, ranging in length from 80 to 100 feet. 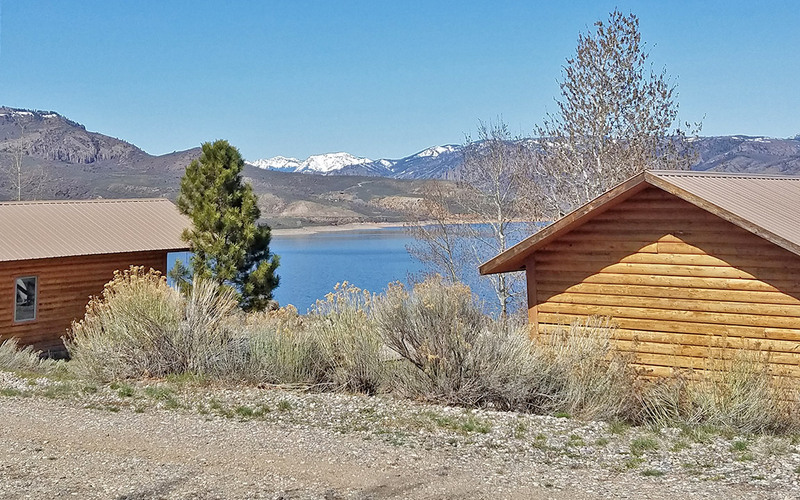 Our four to six person, one bedroom cabins, and tent sites, each overlook the reservoir. 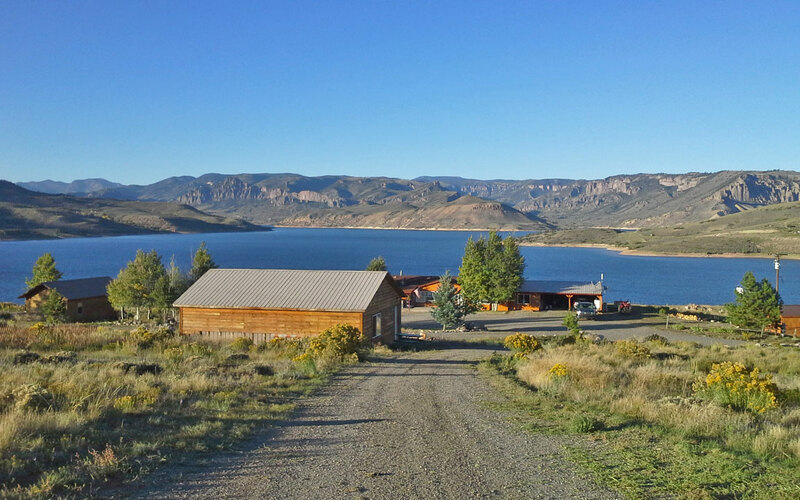 The reservoir boasts some of the best trout and salmon fishing in Colorado, and Blue Mesa Outpost is located just one mile from boat ramps. 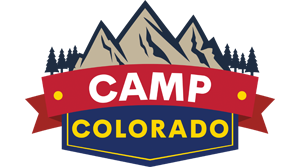 We’re at 940 Cove Road, Gunnison, Colorado 81230. 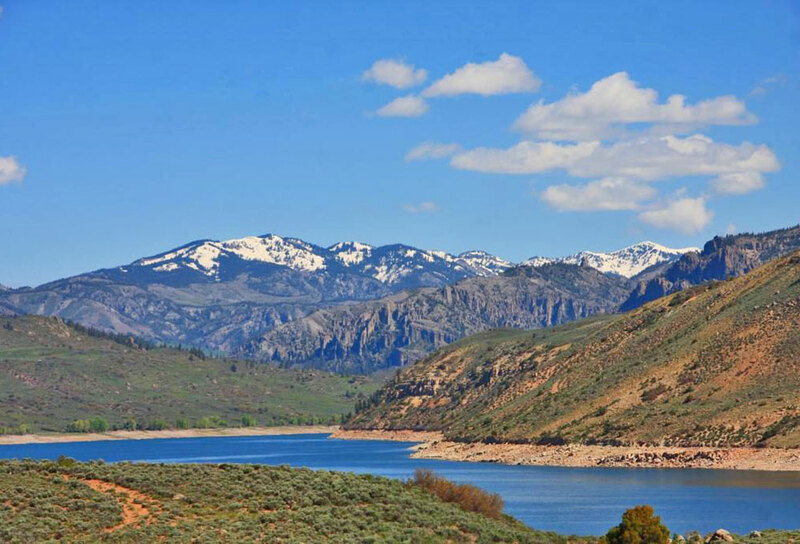 That’s just 25 miles west of downtown Gunnison, and 35 miles east of Montrose. 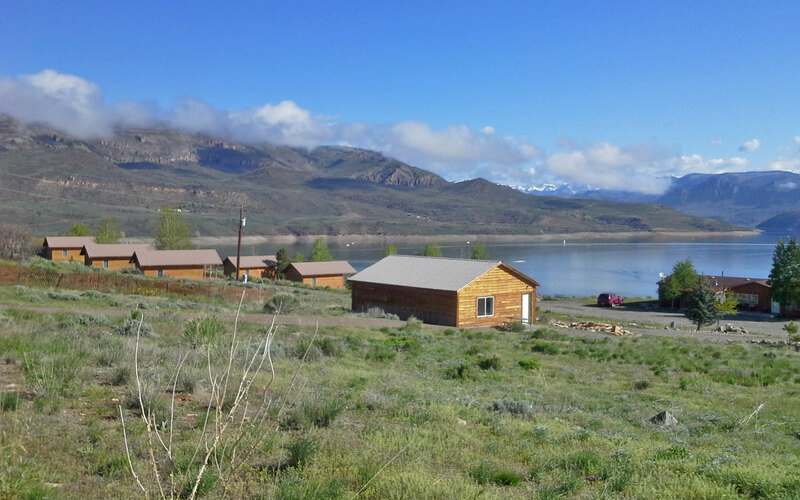 We’re off Highway 50, between mile markers 131 and 132.